Oblique swing frame corner manufactured from 2.5mm powder coated steel suitable for 100mm round timbers. 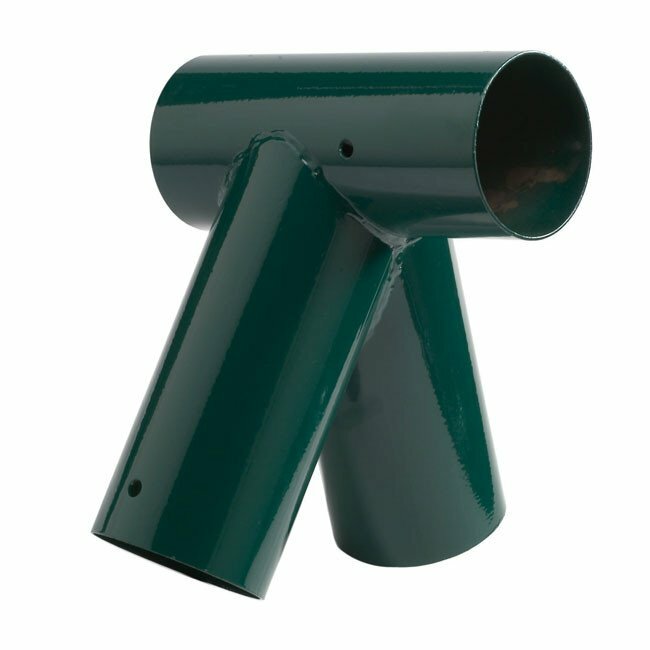 A powder coated bracket manufactured from 2.5mm thick powder coated steel complete with 10mm diameter holes for fixing bolts or screws. 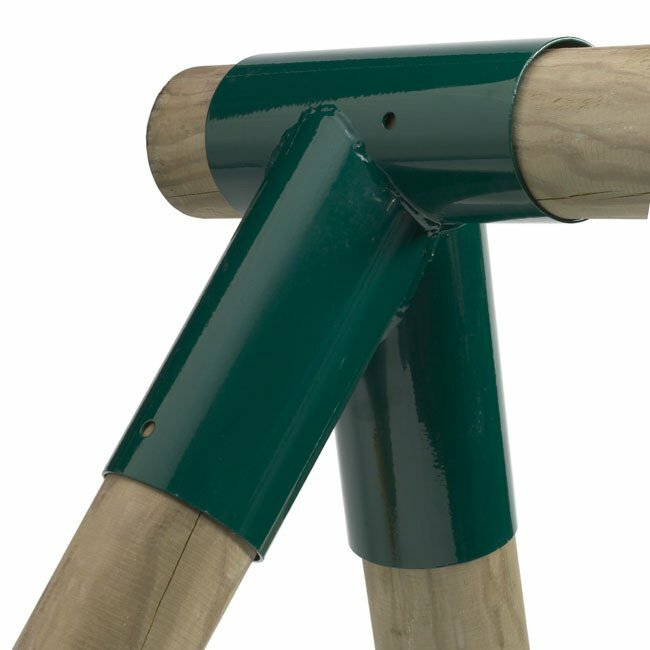 This bracket is suitable for 100mm round timbers and is ideal for making up your own swing frame. Angle between the downwards facing legs 60°.